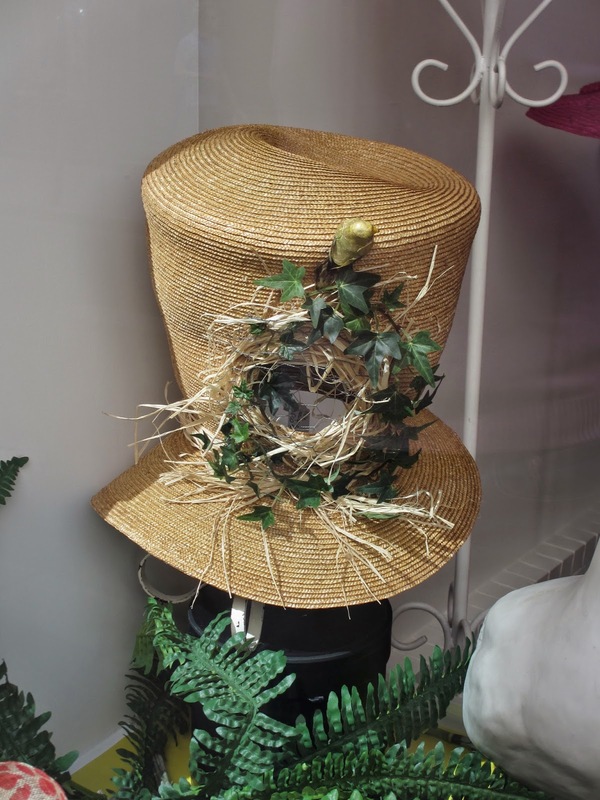 When in Paris, I realized that, if a person has any interest in beauty, the ability to indulge that characteristic, in any form, is boundless: a bunch of glowing ranunculas, dinner plates from La Tuile à Loup, a Marie Mercié "birdhouse" hat. I could have refused all, the ultimate freedom, but I'd arrived with a short list of things I needed: shoes for a son's end-of-summer wedding, and possibly a "dress-up" top for related festivities. Beautiful? I thought so, though beauty is a matter of individual judgment. Adaptable? 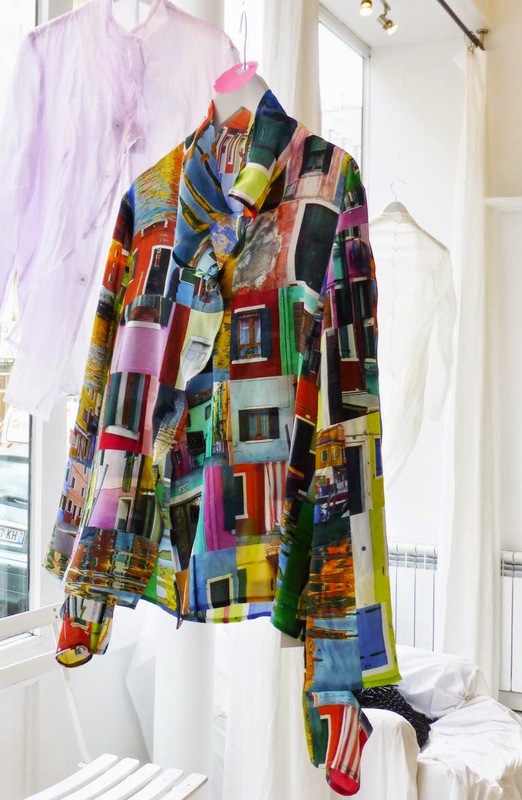 Yes, it could be worn as a blouse or light jacket, and goes with any solid colour. The blouse did not meet that third criterion. In our climate, there are only a handful of weeks in which to wear that weight of silk comfortably on its own. Upkeep would be costly; the vendeuse said "Don't even think about handwashing". Given the steep price (over $US 400), I decided no. A week later, after a delightful where-did-the-time-go lunch in Galeries Vivienne with the lovely, vibrant author and blogger Tish Jett, we visited one of my favourite Paris boutiques, Wolff & Descourtis, a 140-year-old family firm who produce exquisite textiles of fine wool, silk, and velvet plush as a tabby's neck. The shawls and scarves are limited editions; only twenty-four are made in each pattern. Tish and Victoria Wolff liked me in a paisley shawl of soft "English colours", gentle rose, taupe, robin's egg blue, ecru. I too responded to the scarf's serene charm, but as I carried the bag to our apartment, began to question why I have no other clothes in that colourway. When I modeled it, Le Duc said, "The colours are so subtle and marvelous—but they wash you out. I think you can do better." We returned to the shop. I eventually chose a zodiac-themed shawl of pinks, blue, orange, green (and on closer inspection, about five more colours I didn't know were there: grey, peach, khaki, tomato, mocha) punctuated with sunny yellow. Why is this sound? It's portable (when traveling, it folds to a small roll and shakes out unwrinked) and gives at least three-season wear; I mean, I came home on April 23 to 1C/34F and snowflakes! Though it eventually requires drycleaning, because it's worn on top of other clothes the frequency is far lower than the silk blouse. The price was about $US 265 given the detaxe allowance for non-EU residents. Silks and velvets, especially the devoré pieces like those Luciano Pavarotti collected, are far more. Is also there a lesson here about others' advice? If someone "loves it on you", relish the compliment but don't make it the deciding factor. Even though Tish, Victoria and Le Duc each have a superb eye, they are different eyes. (His first choice was not the one I chose, either.) Also, I chose the first scarf when tired; its calm colours soothed. After a night's sleep, my mood changed. When Victoria handed the box to me, along with a small bag of marrons glacés, she remarked that I had picked the "Parisienne hipster one", tongue firmly in Gallic chic. Wolff & Descourtis pieces are not sold online, so there's an excuse for your trip. PS. 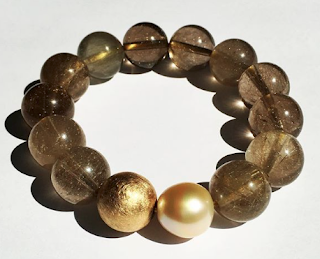 For those intrigued by pearls: Kojima Company have just begun their spring sale: 19% off with code DARAJA till May 11. Oooh, scarves! As good a reason as humanly possible for a trip, in my world. Janice: We were flâneurs, every day for 2 weeks, helped by not one rainy day...remarkably fine weather. Oh, I like your choice, very vibrant! The lightweight silk-cotton Kenzo scarf I picked up there last year gets frequent wear. Would love to know what styles and colors of scarves you observed women wearing there. I love the windows of Paris! The Lisbon doors on the blouse were stunning. I am learning about loving pieces but not needing to buy them. The scarf that you bought is beautiful and I am sure that you will wear it well. Flâneur and flâneuse in the footsteps of Baudelaire and the lovely Jeanne Duval, Walter Benjamin and the surrealists... My you were lucky not to have any rain. 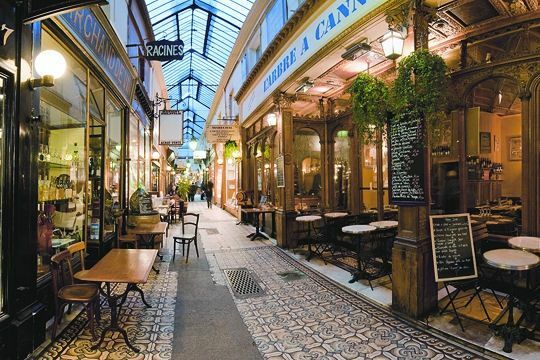 That's the best thing to do in Paris, other than meet old friends at a café or chez eux. That blouse is stunning, but would lose much of its charm under a sweater or jacket. Beautiful scarf though. How many books did Le Duc buy? i had never heard of that arcade and wandered in quite fortuitously on a walk last summer. The scarves are beautiful and the owner quite charming. I was overwhelmed by the choices. Luckily, we will be meeting up with our daughter in Paris in june--we call her "the decider" and defer many decisions large and small to her. Maybe she can help me pick one out. There was also an interesting very small exhibition space in or near that arcade. 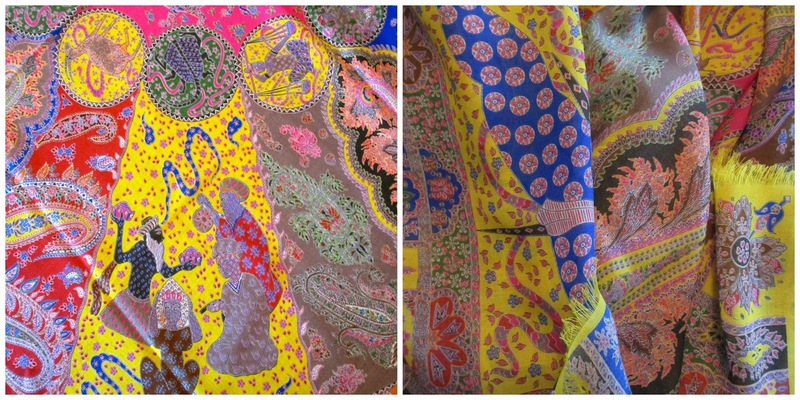 Love the clear vibrant colours and paisley pattern - great choice. 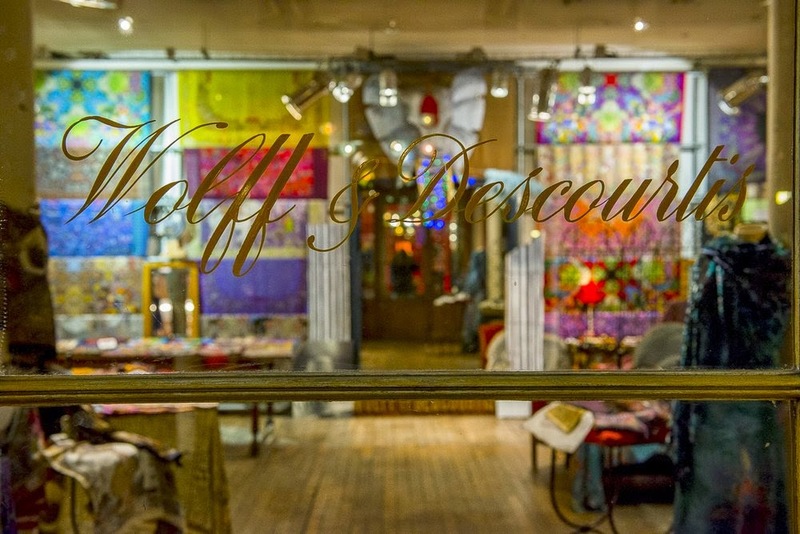 Wolff & Descourtis goes on my list of where-to-shop when I get to Paris. And I agree with your comments on others eyes. How you see yourself is the real measure, although hard to achieve sometimes. unefemme: On May 7, I'll show some real women I snapped there. Mme: It is odd for me to call such a flamboyant palette "practical", yet I think it will be. I actually went back three times to try on the blouse. lagatta: Hmmm, I am not exactly sure; at least a half dozen on prehistory, one of his pet reading topics. fugal: I would not think of the wool scarves as a natural fit with your climate, but if you plan to do more travel, they could be worn more often. Mme Victoria showed me some silk weaves, almost chiffon alternating with light silk, that are popular with buyers in warm climates. LauraH: I sometimes enjoy abdicating my decision (like frugal, I can be overwhelmed) and others have made much-appreciated suggestions- so it's a double-edged proposition! I am happy with this outcome. I very much enjoyed vicariously shopping with you, weighing the decisions, revelling in colour, print, texture. But I also appreciate the way you contextualized the purchase to de-emphasize the retail imperative Paris has come to be associated with. It's true that the ultimate freedom is not to need/want anything but to be able to admire beauty which the city offers everywhere. I'll be there soon, with my sister, and I suspect I will succumb to a retail temptation or two, but it's good to remember that buying is really the lesser of many other pleasures. materfamilias: Oh, wonderful! I was determined not to get caught up in overbuying, but enjoyed being surrounded by so much beauty. What is 'enough' certainly has changed in my life, in the past decade or so. It's beautiful and I wonder if it has some wool in it? I liked the Vera Maxwell quote that clothes should be beautiful, adaptable, and sound. Yes, that was a wise purchase! Francie: Are you referring to the shawl? It is 100% wool, like challis. I purchased a white cotton blouse, many years ago, in a second-hand shop, which had the name "eun hwa." I'd never seen that brand name before, and this is the first time I've seen that name in print, but remember it was impeccably styled, and so very minimalist and chic. I probably still have it in the back of my closet, waiting for a few more pounds to come off to be able to wear again. Vivian Jung: The other clothes were so appealing to me, nothing else in the shop was a print, very minimal and yet feminine. You are lucky! Of course we all remember that except for a tiny upper crust, most Parisians, even professionals, live in flats which may be exquisite but are not very big and have almost no built-in closets or cupboards. I have friends, two professors, who live in a flat similar to the one La Duchesse showed as her rental, but stuffed with books and his and her work spaces. There simply isn't room for "too much stuff"; it becomes dispiriting clutter. But there are cafés everywhere down the stairs or the lift, and so much one can walk to. Most of the books I acquire when in Paris are gifts - from the authors. 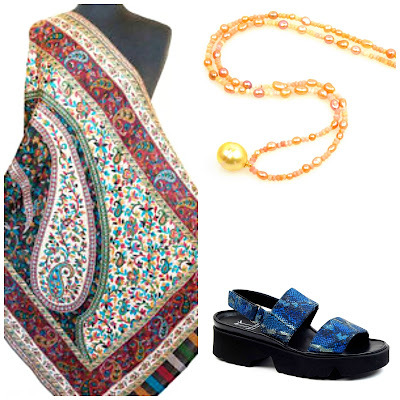 The blouse is a stunner, but so is the shawl, with a similarly enlivening quality about it. And thanks for the Kojima discount tip; it was just the incentive I needed to order the large Chinese freshwater ripple pearl I've been tempted by for so long! Pseu: You can buy Epice scarves at Le Bon Marché if pressed for time. (The store has been repositioned as a "global luxury brand" place, and it shows- quite soulless this time around, because the more affordable designers are gone, the house brand no longer exists- but the scarf section is impressive.